There are some infectious diseases, such as chicken pox, that can usually be treated by your primary care physician. But other, more serious infections can be difficult to diagnose correctly and require the care of a specialist to ensure you receive the most appropriate and effective treatment. With many infectious diseases, getting the right diagnosis and treatment as quickly as possible can make a big difference in the outcome. What steps should you take to make sure you have rapid access to the care you need during this type of health crisis? The symptoms of infectious diseases vary depending on what bacteria, fungi, parasites, or viruses are causing the illness. Many share symptoms such as fever, fatigue, diarrhea, and muscle aches. If these symptoms are severe or last longer than a few days, you should see your physician. 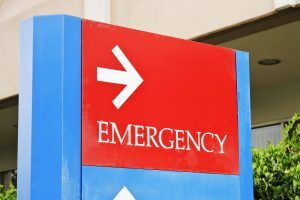 Since many primary care physicians and community hospital emergency departments (EDs) only see a few cases of certain infectious diseases a year, it may be better to see a specialist with experience in the field. Consider the experience of one of our member’s sons. While at college in Colorado, he developed a high-grade fever, headache, and confusion. His friends took him to the local ED, but the staff did not perform testing for meningitis or encephalitis, two life-threatening diseases that were consistent with his symptoms. We spoke with the treating physician and convinced him to do further testing including a spinal tap, which indicated that he had meningitis and possibly encephalitis, an inflammation of the brain that can lead to severe complications or death. Because encephalitis gets worse before it gets better, his parents agreed with our recommendation that their son should be moved to a center of excellence with the capability to handle any potential complications. The PinnacleCare team was able to coordinate a middle of the night transfer to the Neuro ICU at Johns Hopkins Hospital in Baltimore via air ambulance for emergent care and ongoing treatment. The young man spent the next three weeks in the hospital and recovered completely from what was ultimately diagnosed by the Centers for Disease Control and Prevention (CDC) as West Nile Encephalitis. The diagnosis could have been missed and the result could have been different if he remained in the community hospital in Colorado. Whether you’re at home or travelling, finding the right physician and hospital to diagnose and treat an infectious disease is the essential first step. Larger medical centers of excellence are more likely to have experience treating these types of diseases and to have an infectious disease specialist on staff. A personal health advisor can also help you get the care you need in an emergency situation. An advisor can rapidly connect you with the resources you need, any time of day or night, anywhere in the world. An advisor can also instantly provide your electronic universal medical record to any doctor who treats you and arrange emergency medical evacuation if needed.